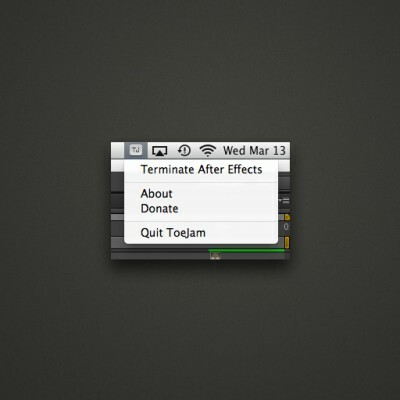 ToeJam is a simple Mac utility application for Adobe After Effects that runs as a status bar item. When executed, it terminates After Effects® in order to force an autosave of your current working project. 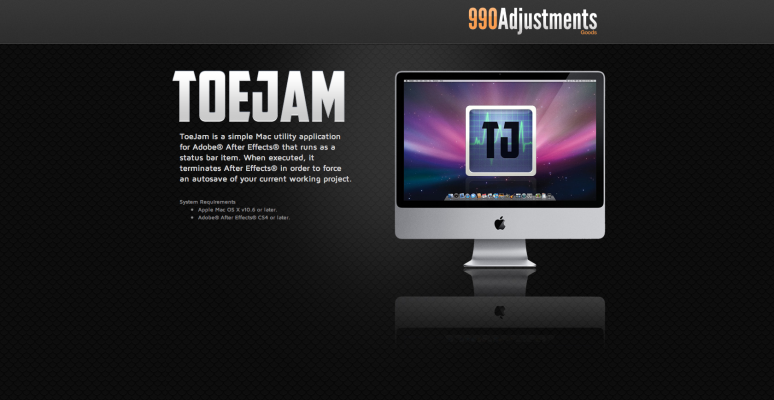 Included are scripts to auto launch and shutdown ToeJam when After Effects starts and closes. Apple Mac OS X v10.6 or later. Adobe® After Effects® CS4 or later.